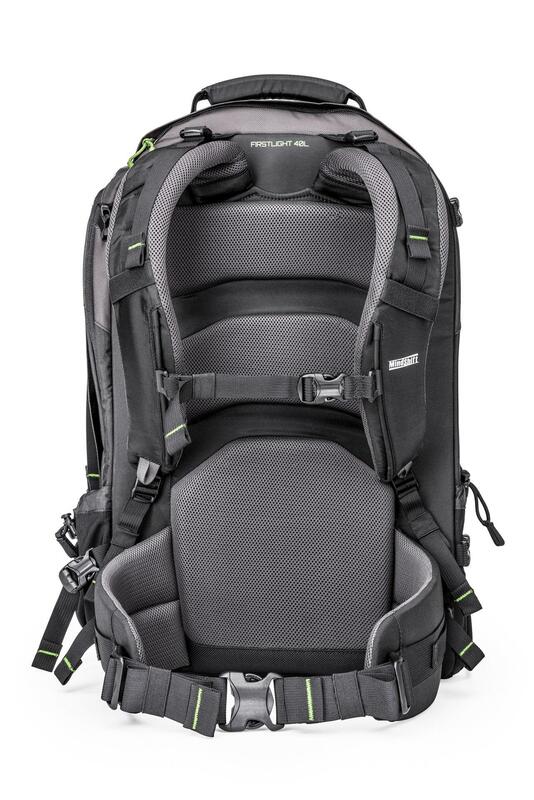 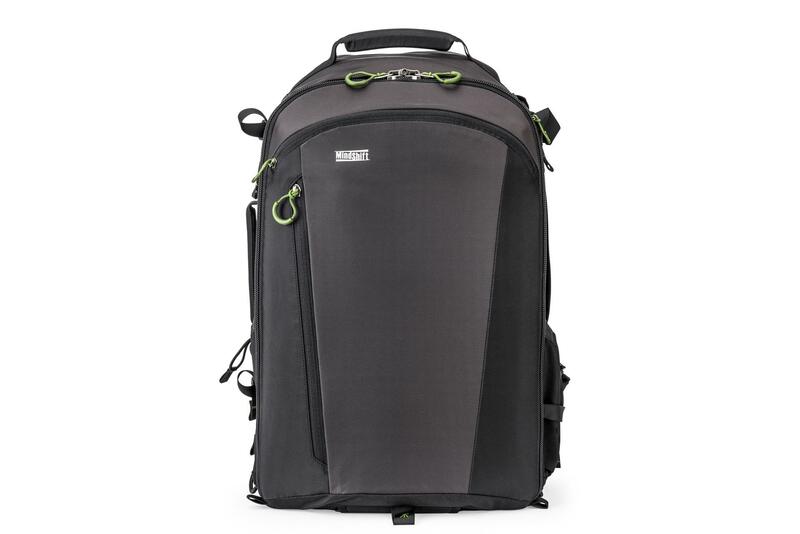 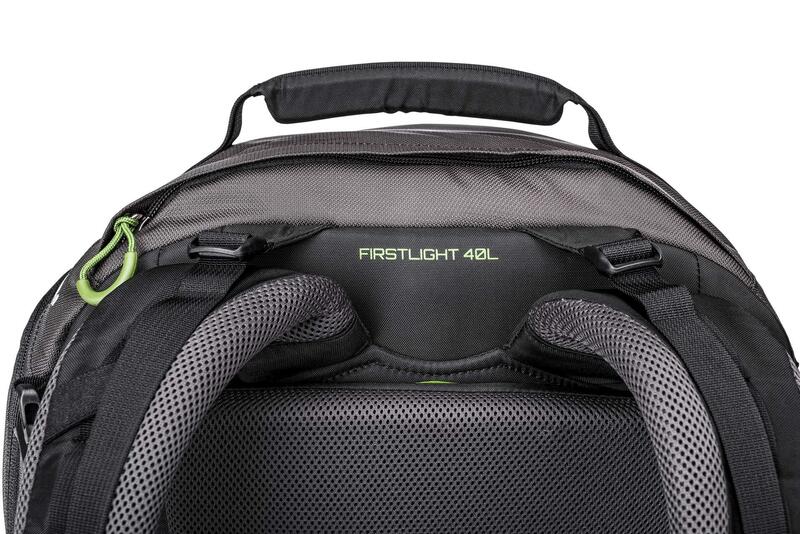 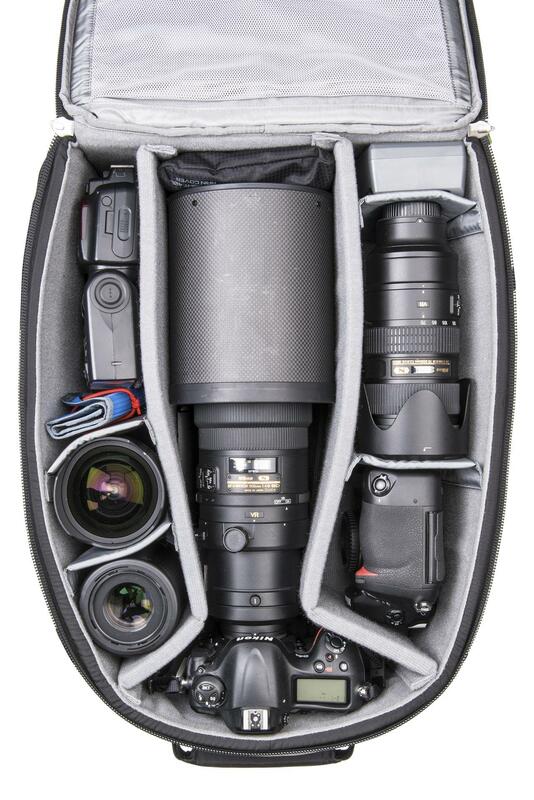 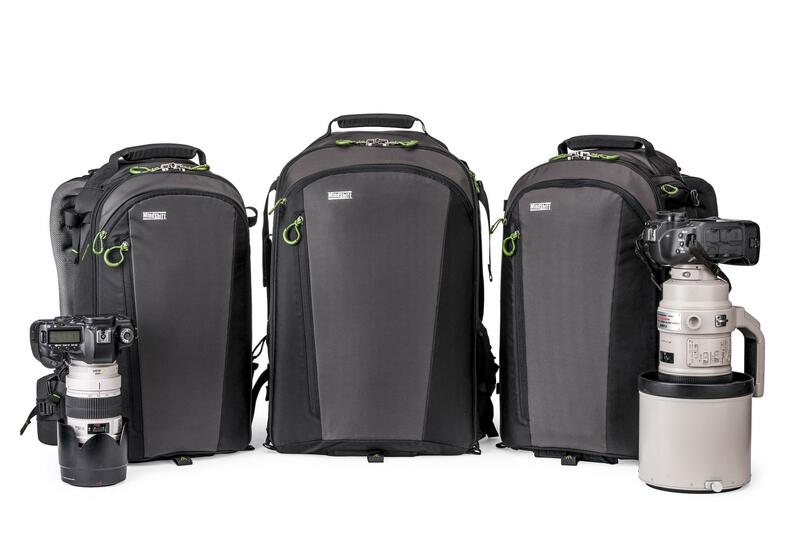 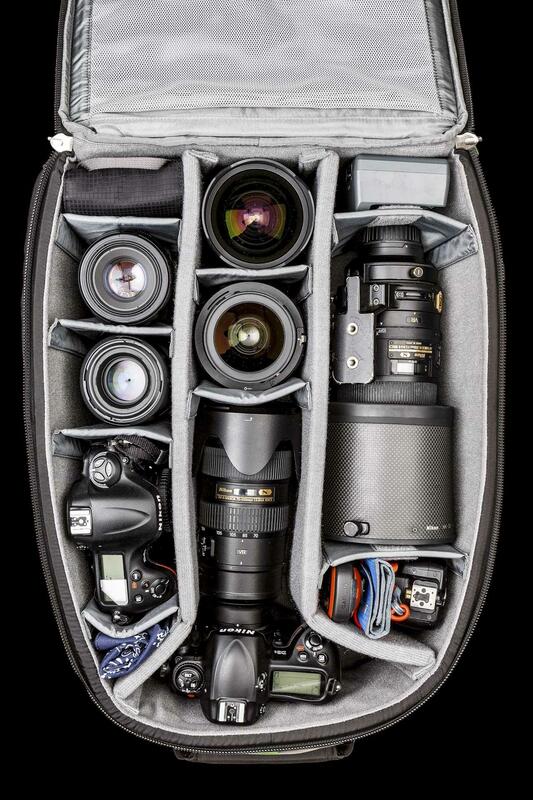 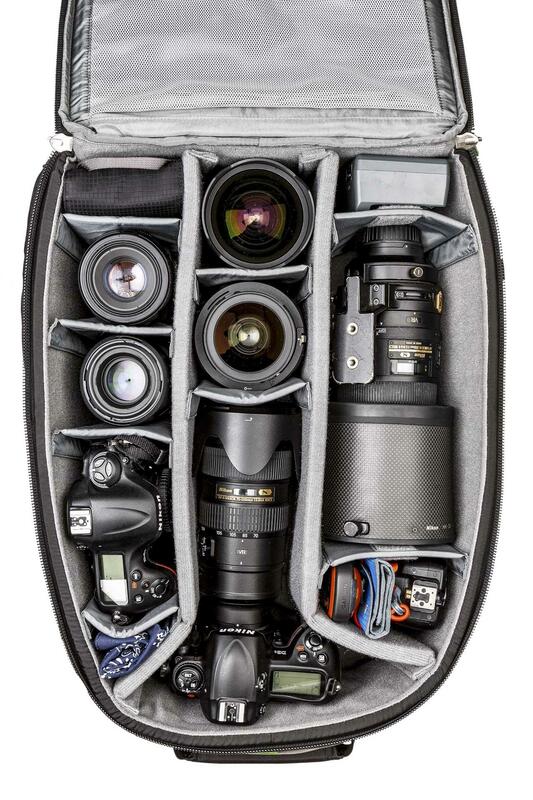 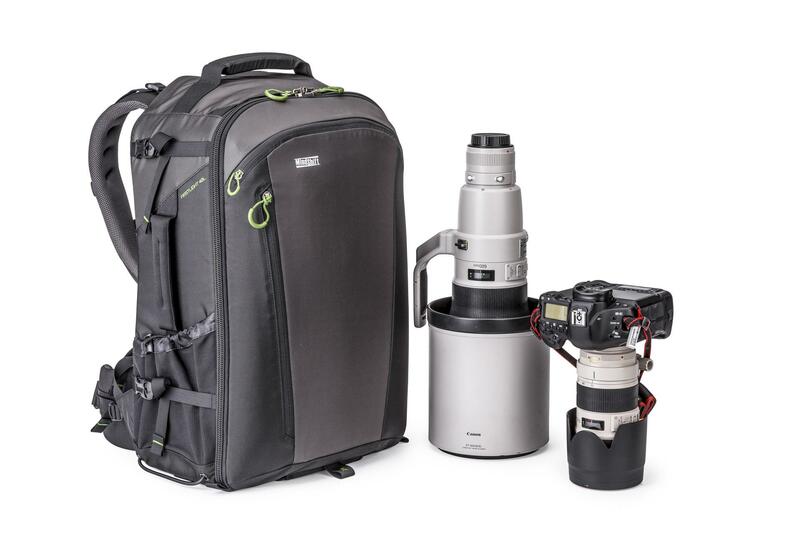 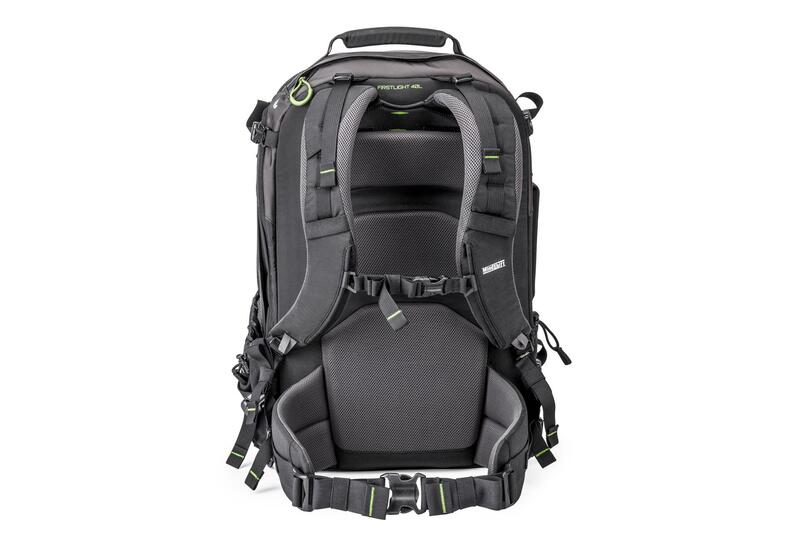 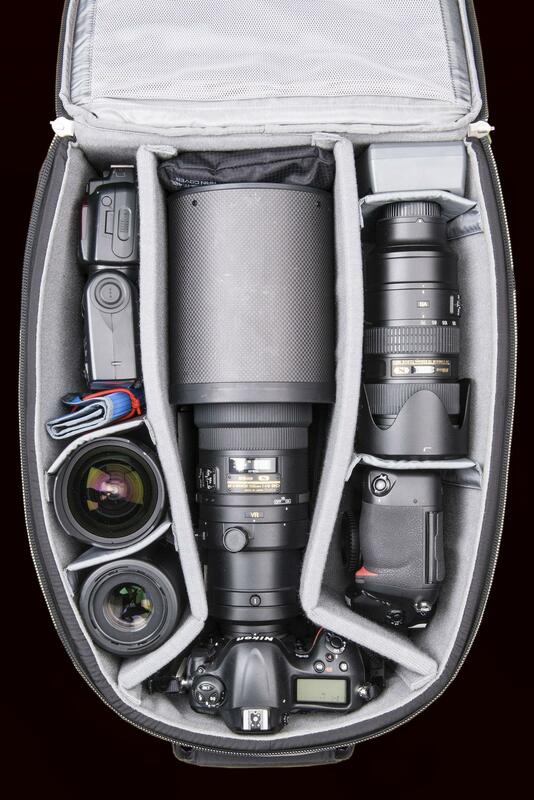 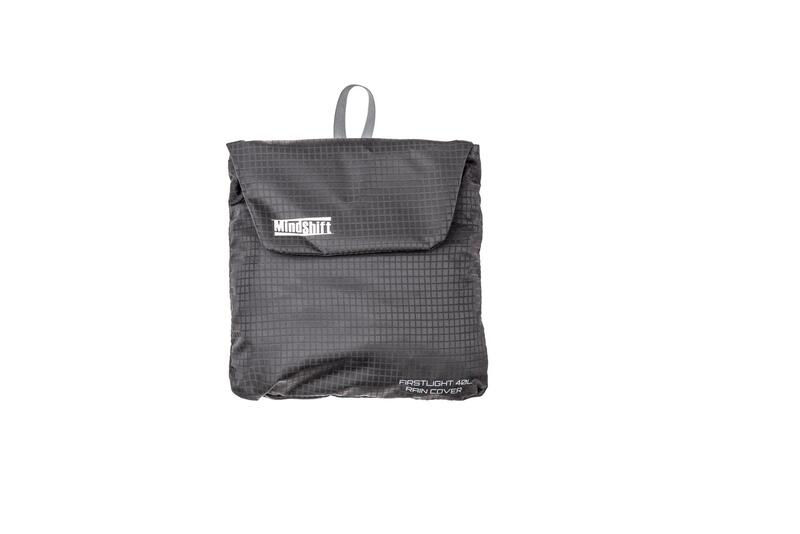 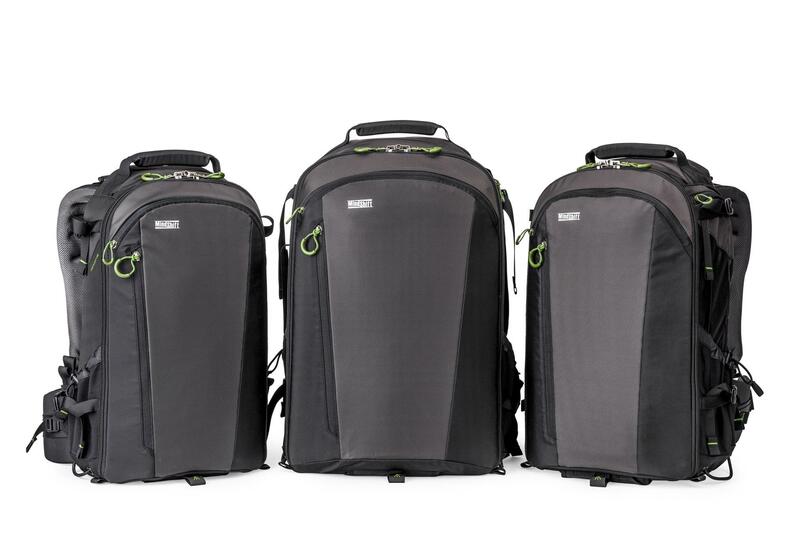 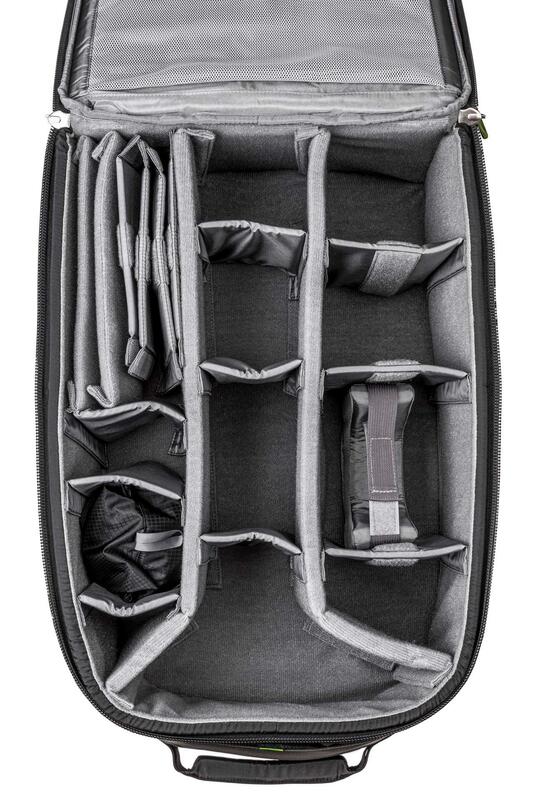 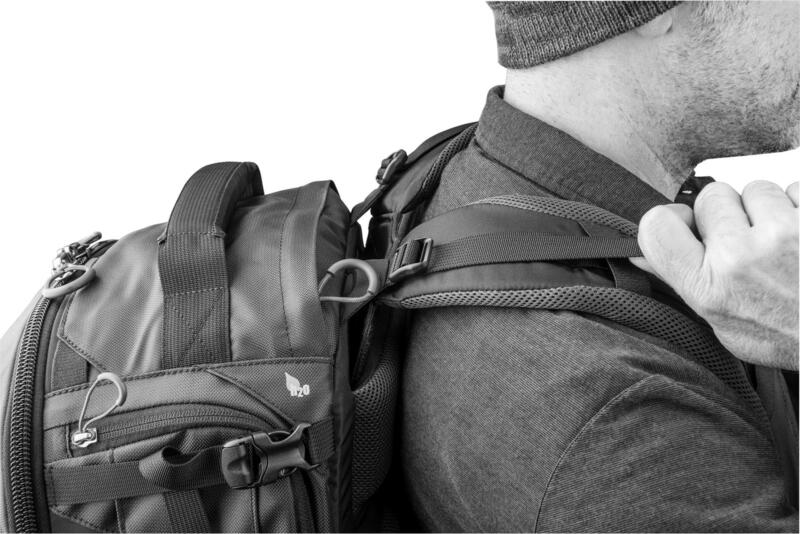 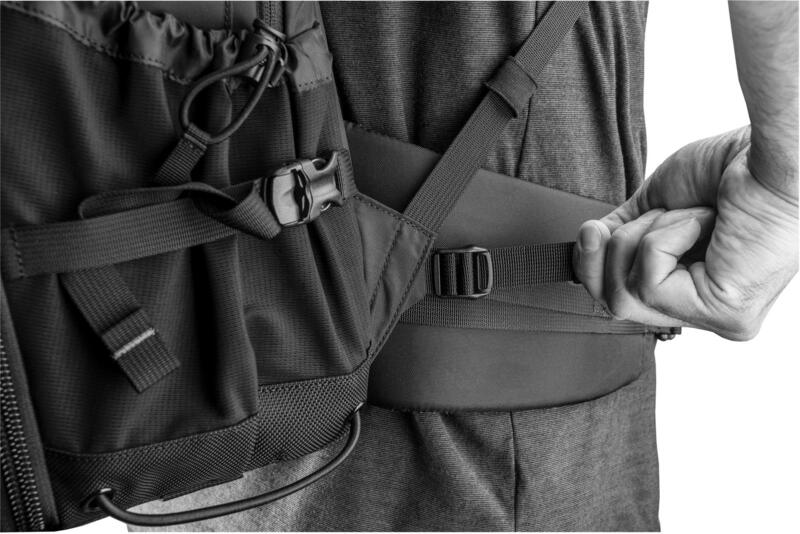 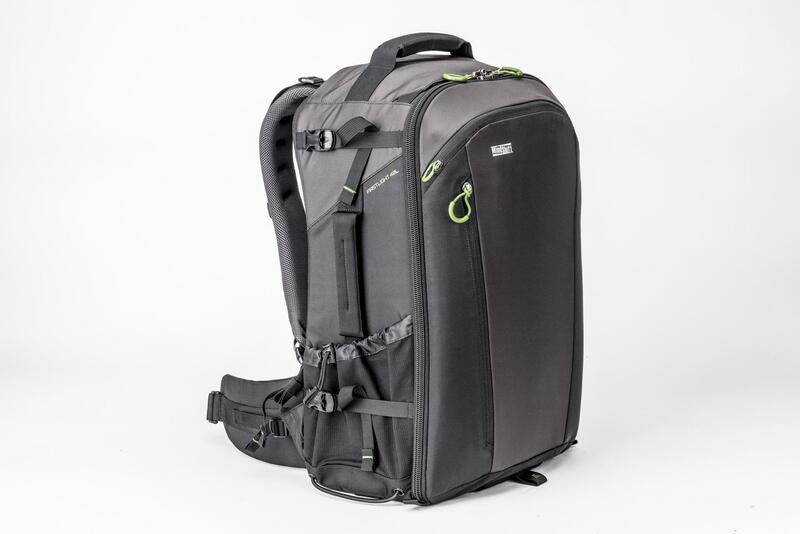 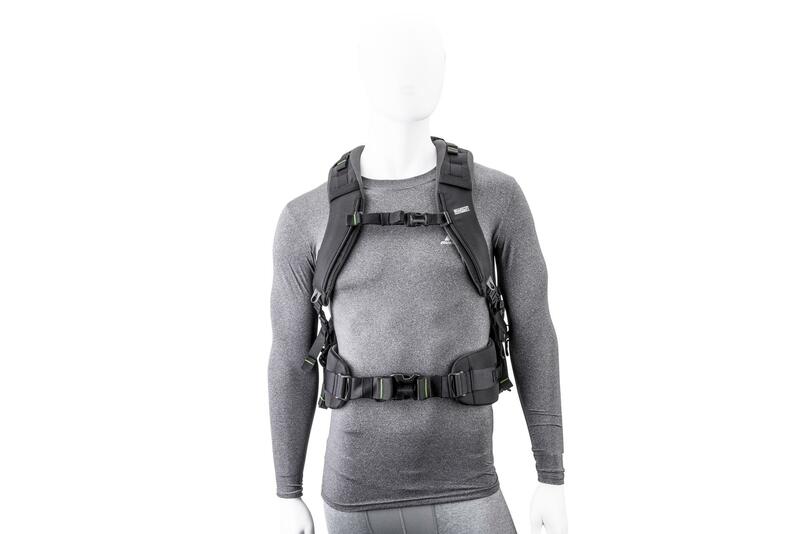 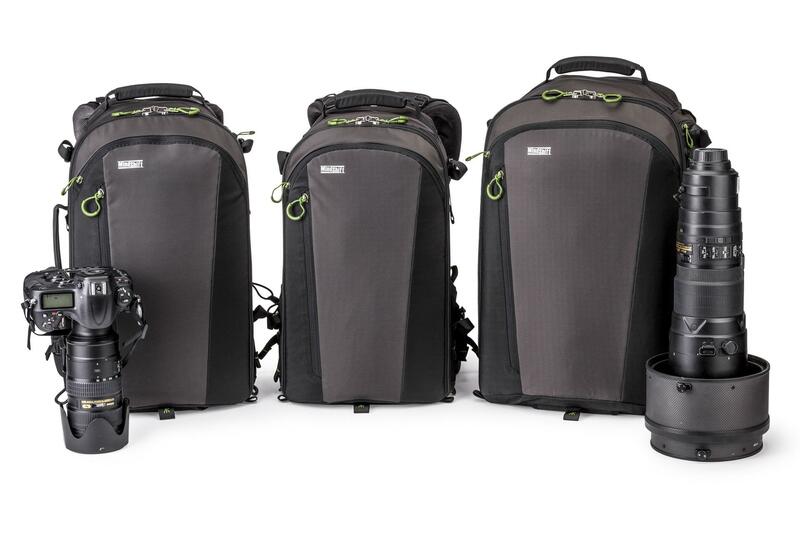 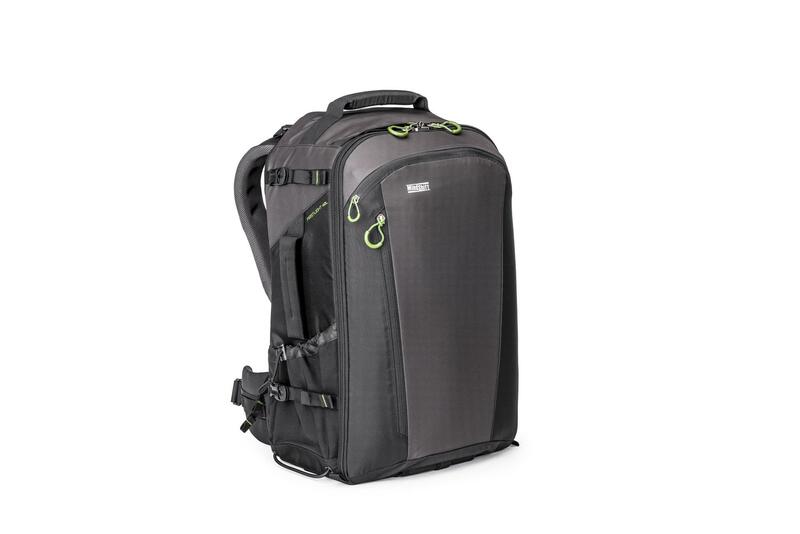 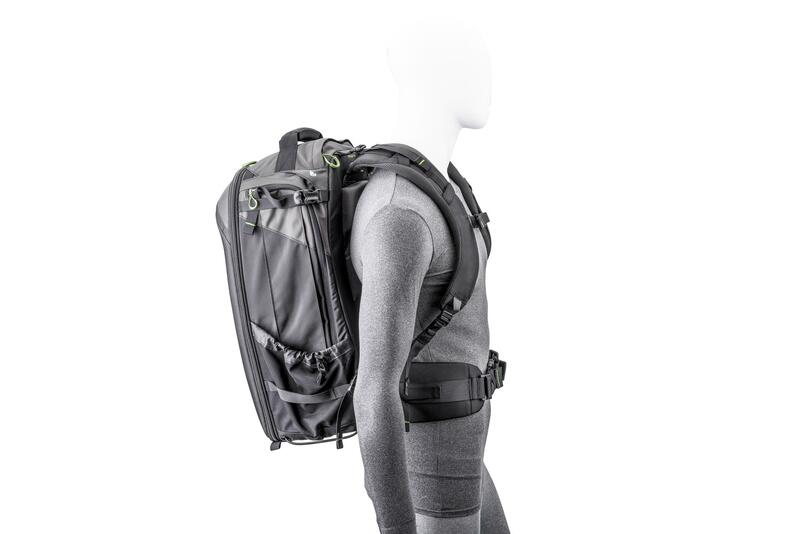 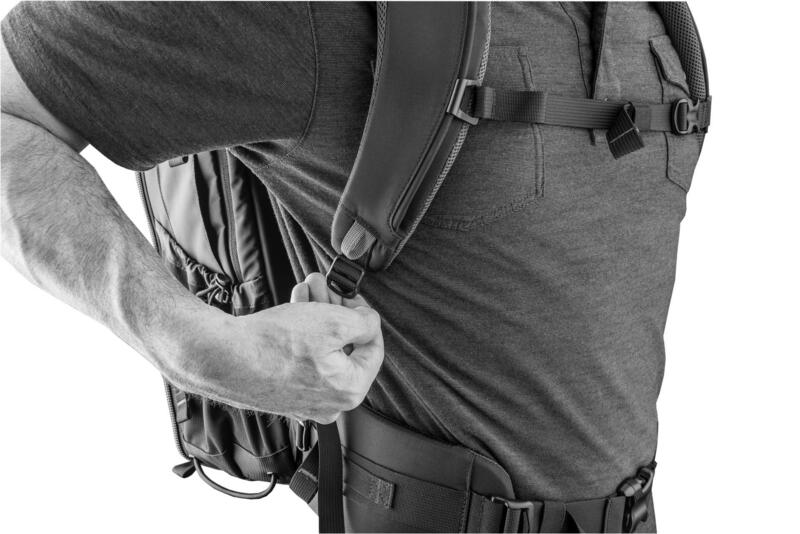 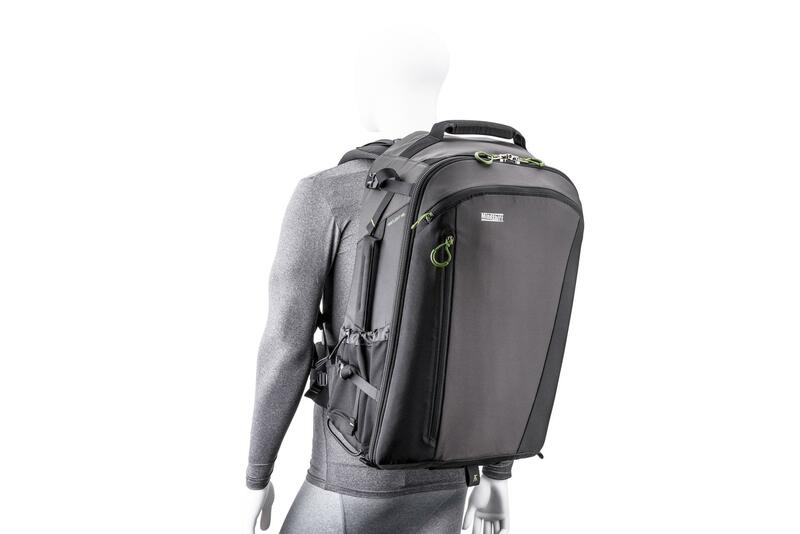 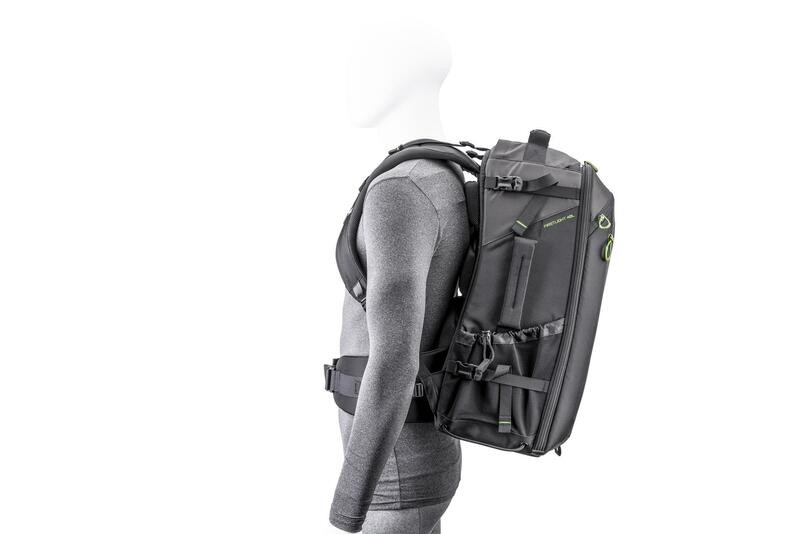 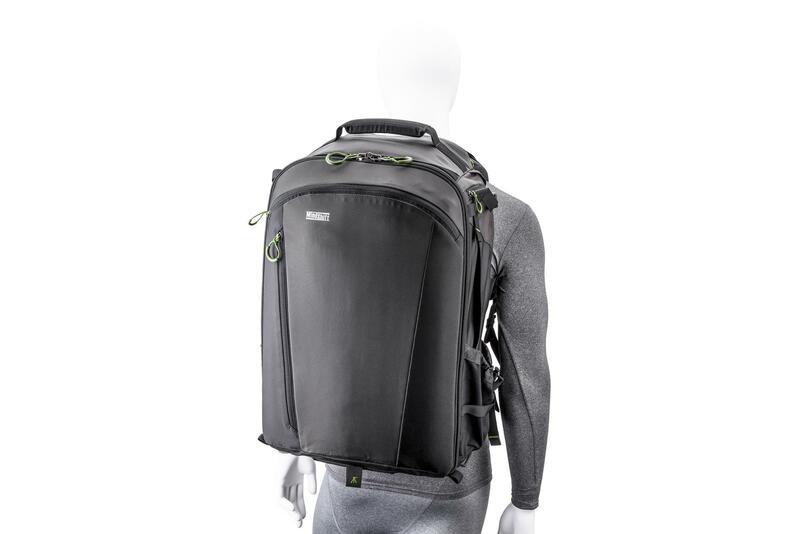 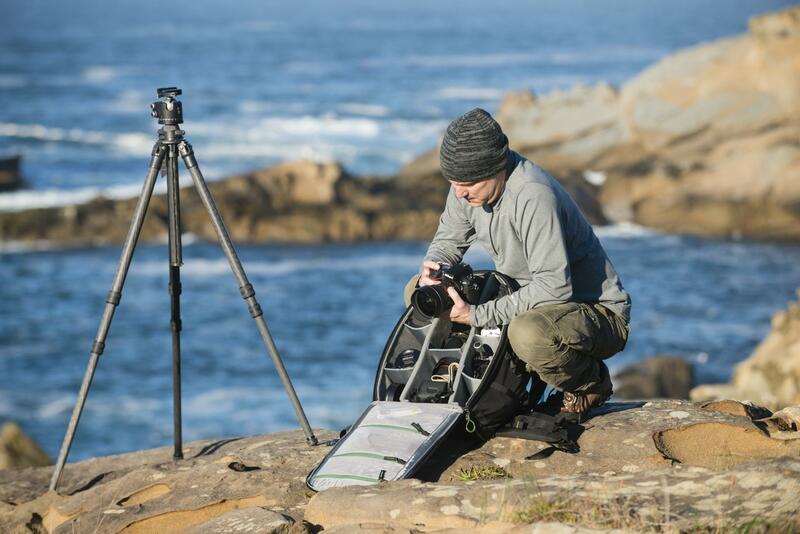 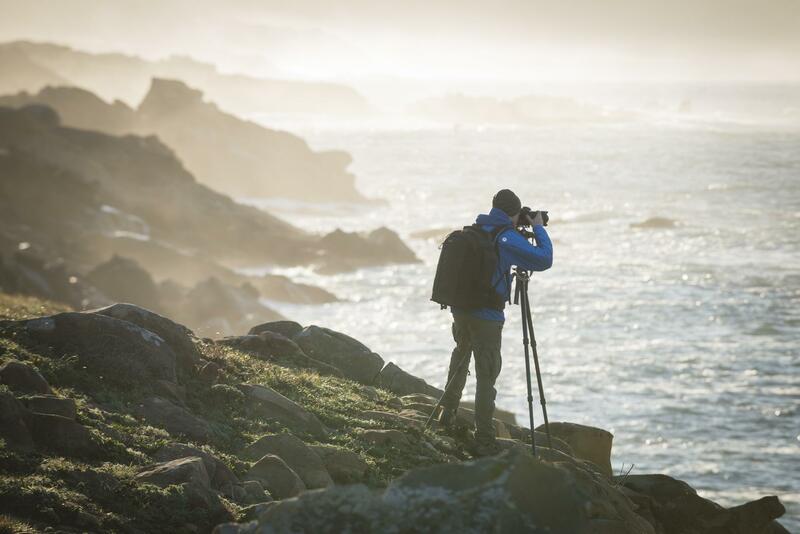 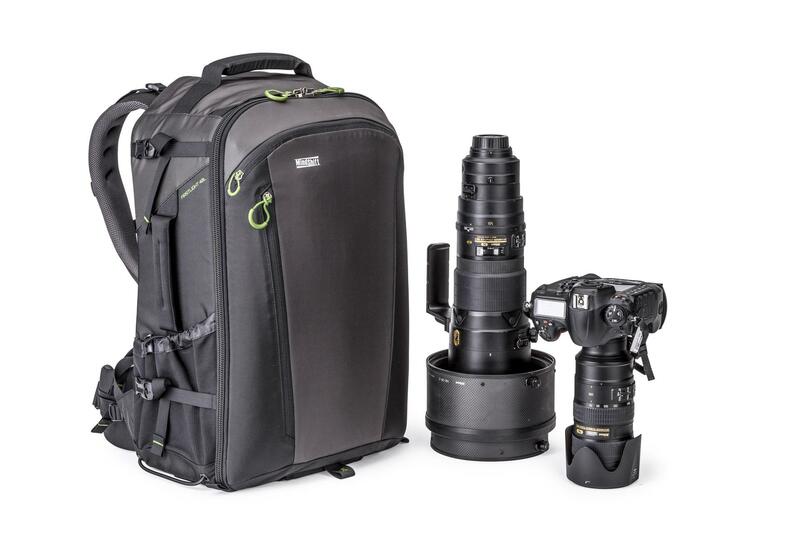 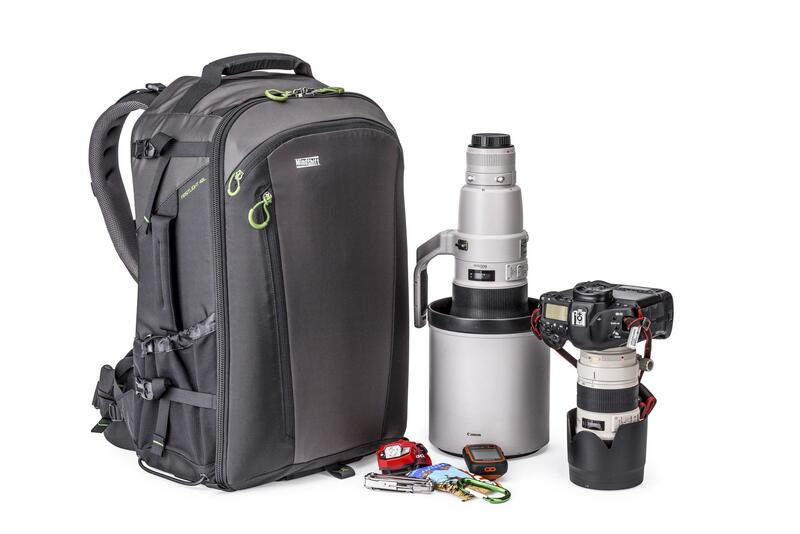 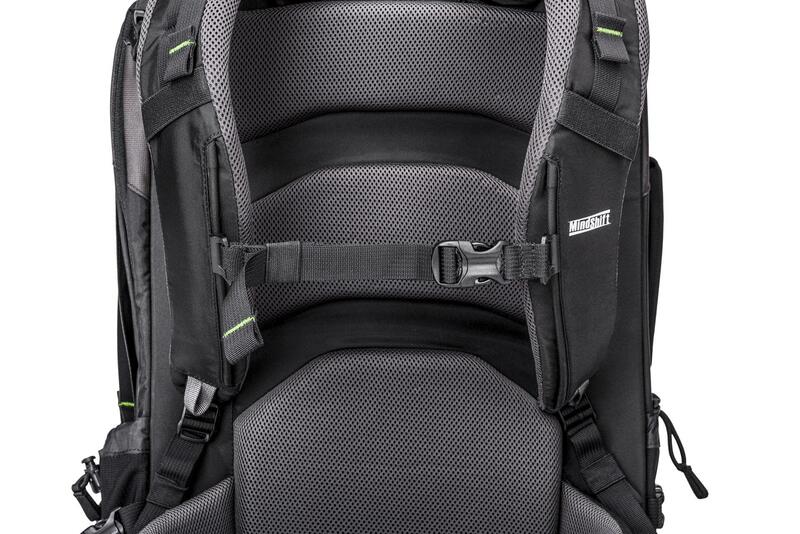 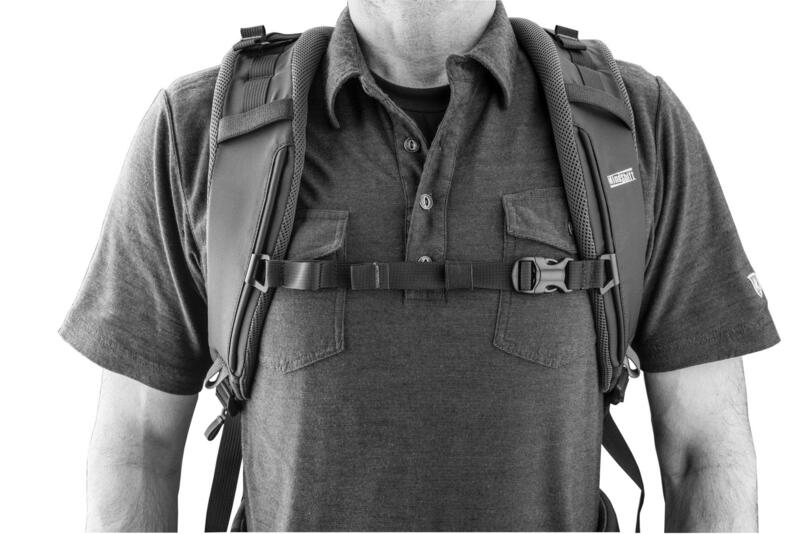 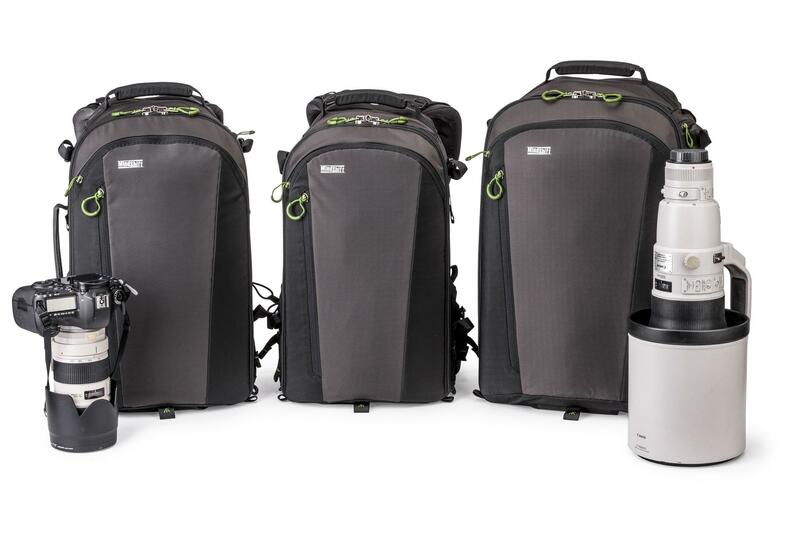 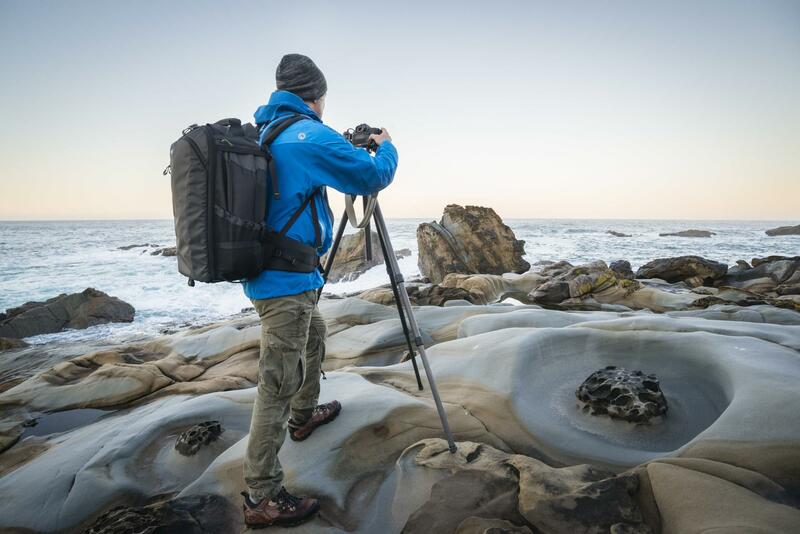 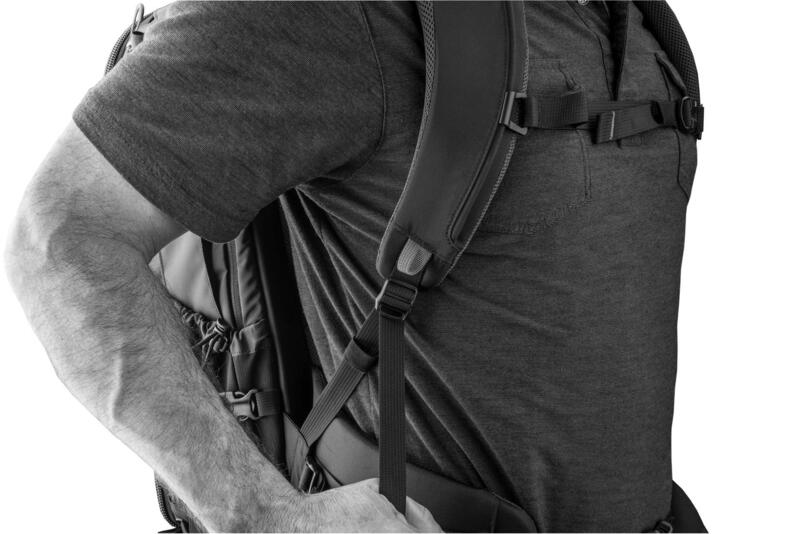 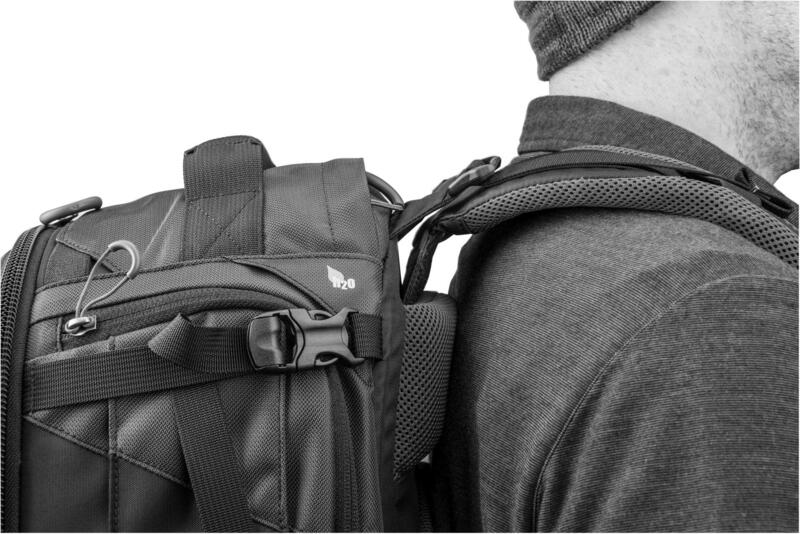 FirstLight 40L is a 40 litre backpack with adjustable torso that carries camera gear, tripod and a laptop. 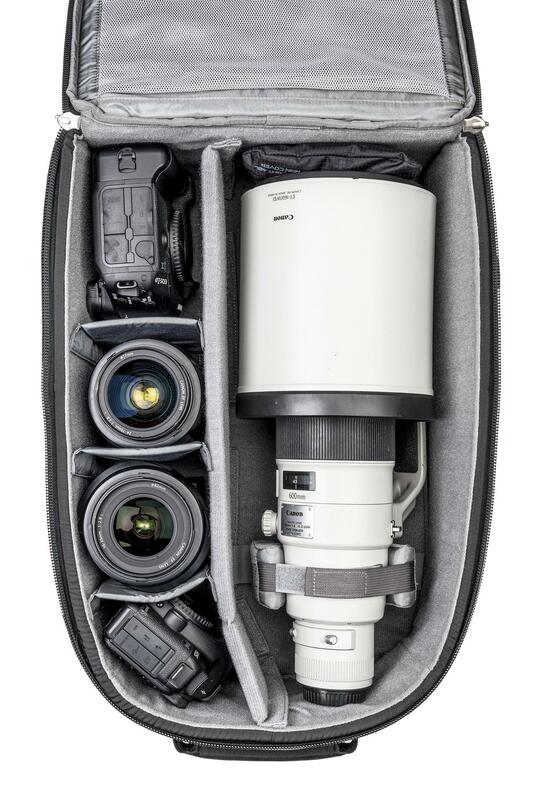 Maximum lens size: 600mm f/4 detached. 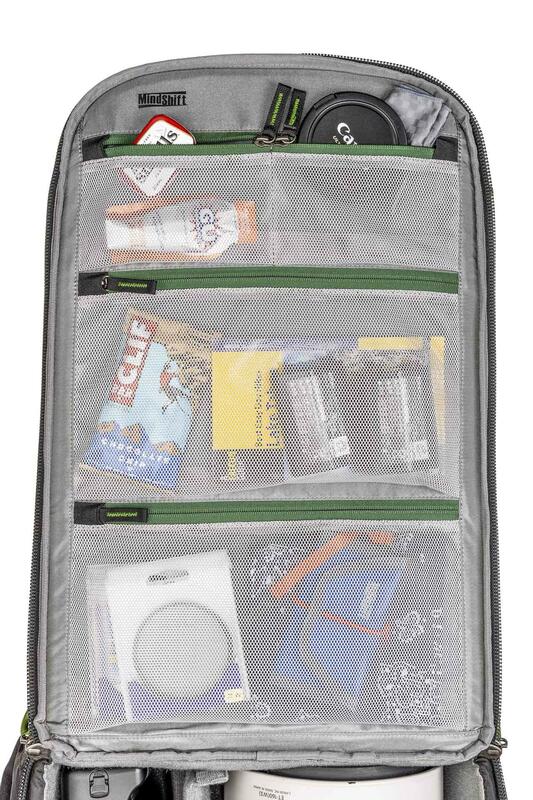 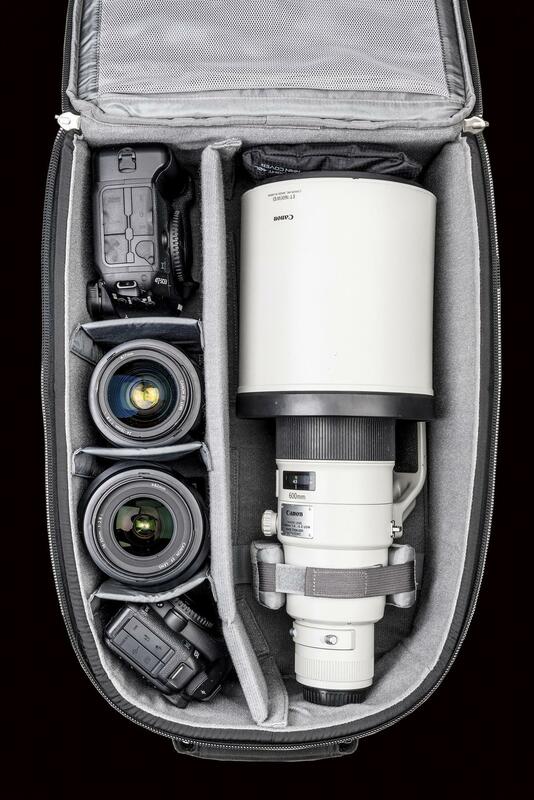 Raincover included. 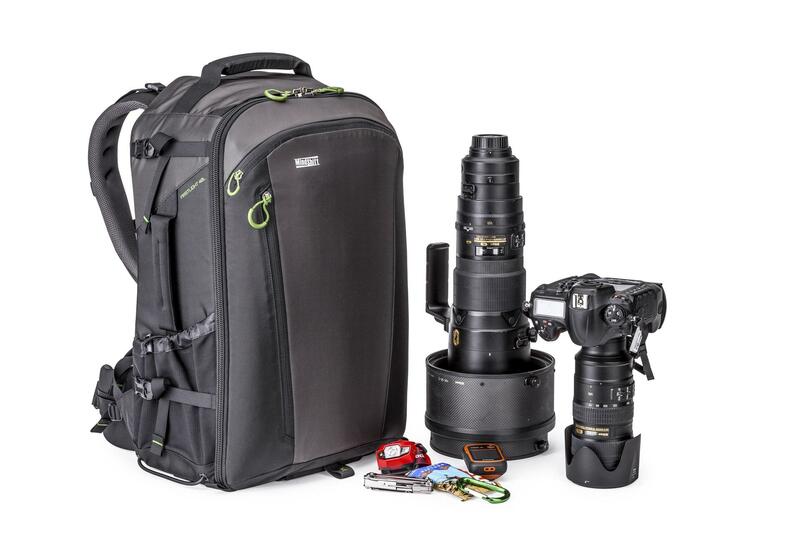 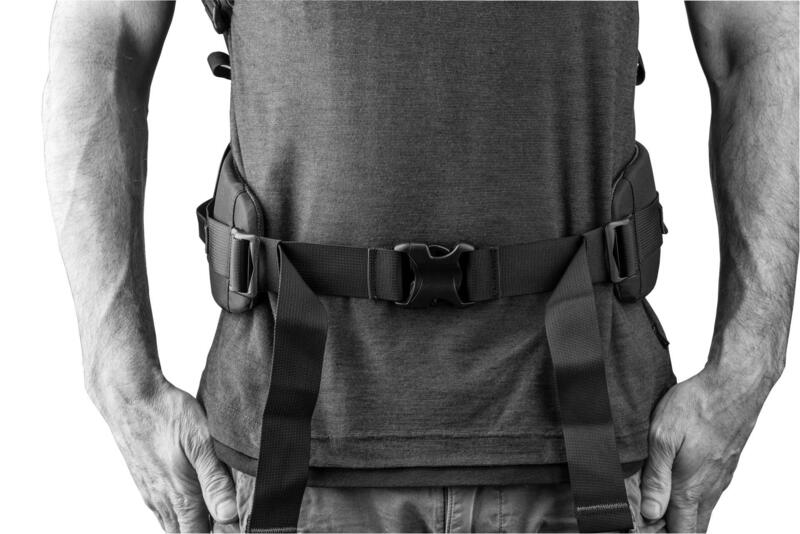 Compatible with the Tripod Suspension Kit and the Lens Switch Case.